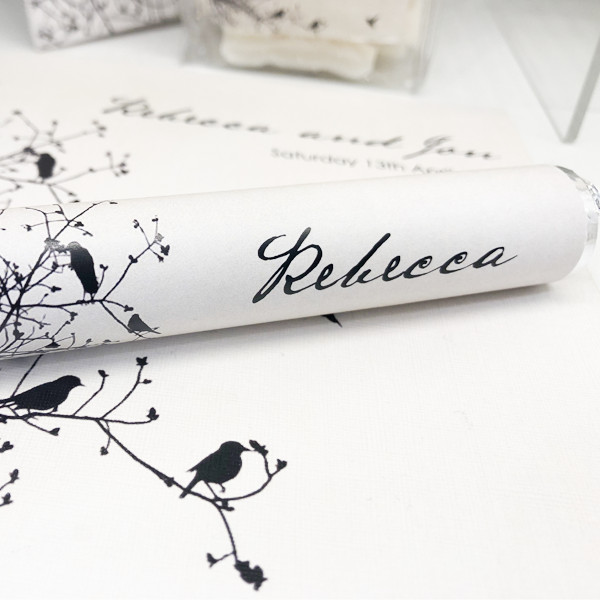 2. they are all designed to double as your place cards too! 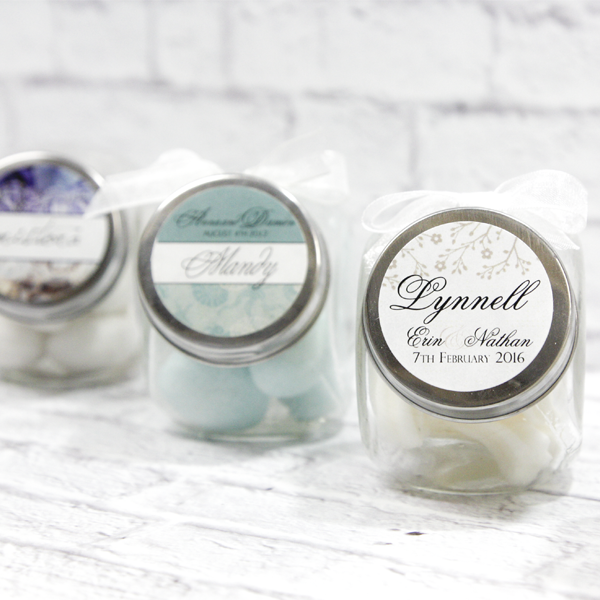 Not only does that save you money, but it also gives you and your guests that different ‘WOW’ factor. 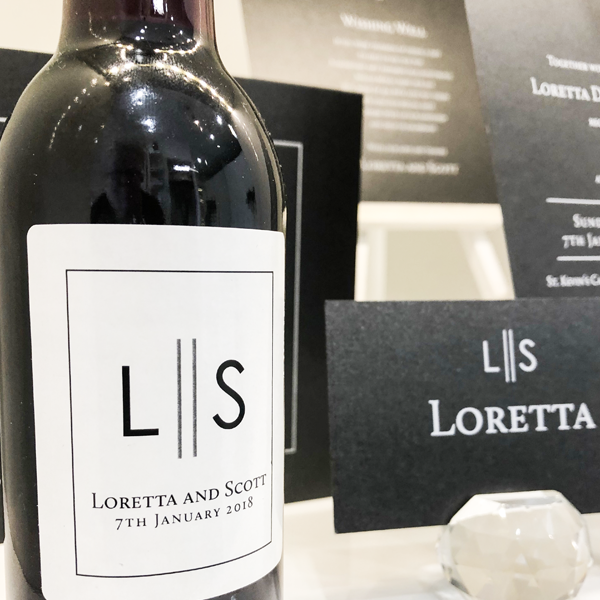 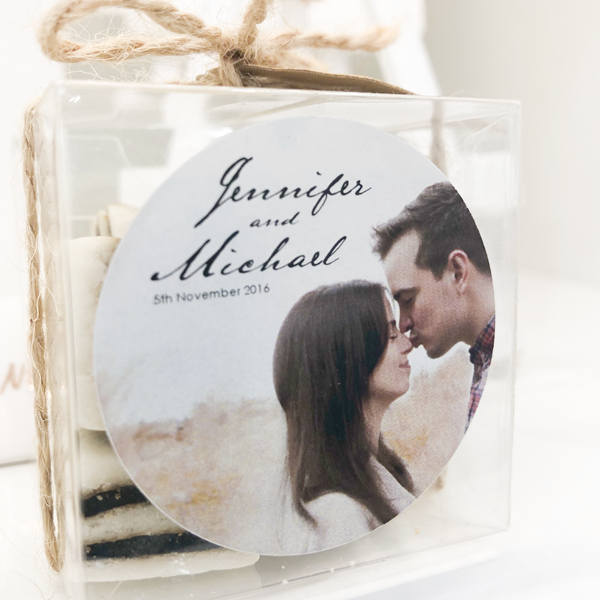 Of course, if you want your Bomboniere to be just that, and not a place card, they can be designed to be just from the two of you. 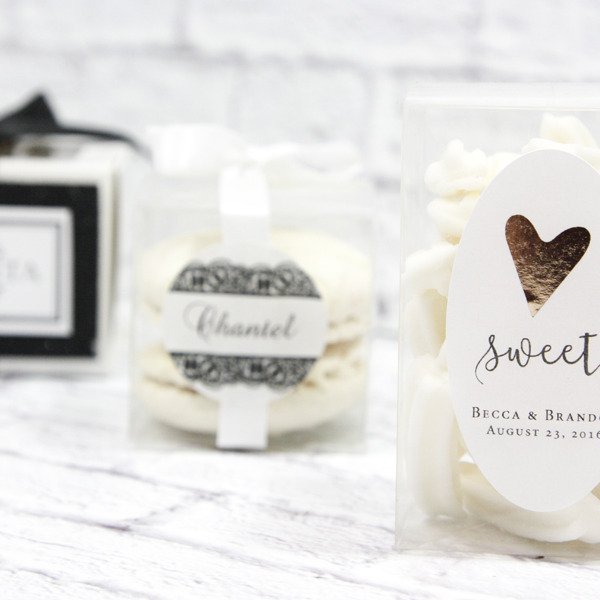 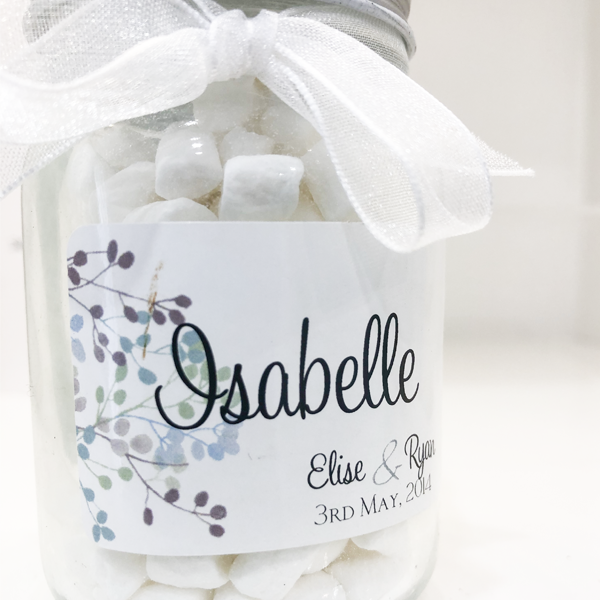 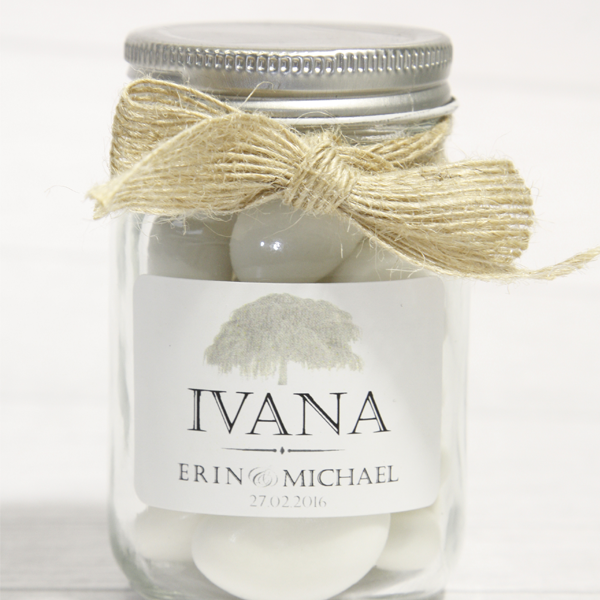 Again, featuring your unique invitation design..
Our candy jars are a sweet (pardon the punn) treat for your guests. 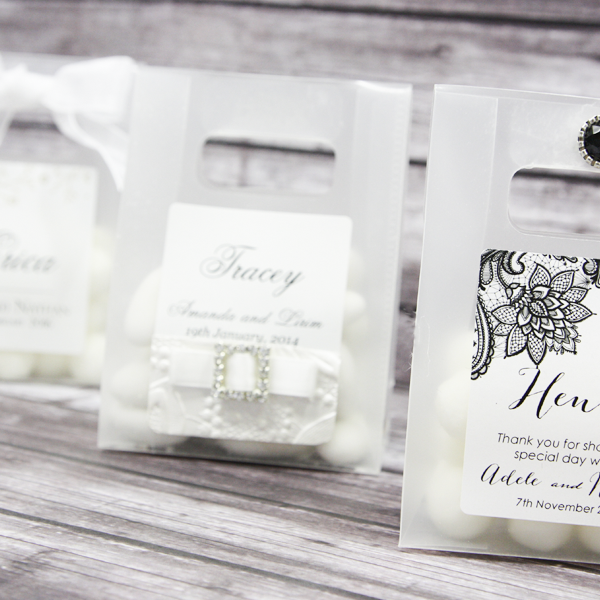 They come with your stationary design, printed guest names if required, bow, and are ready for you to fill with your own goodies! 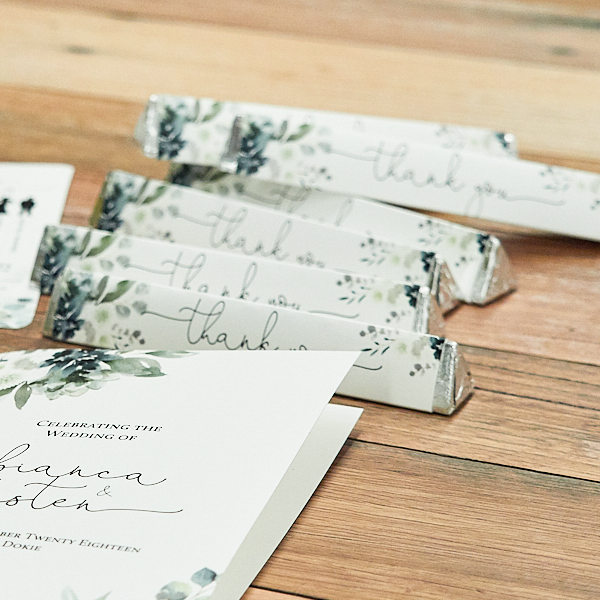 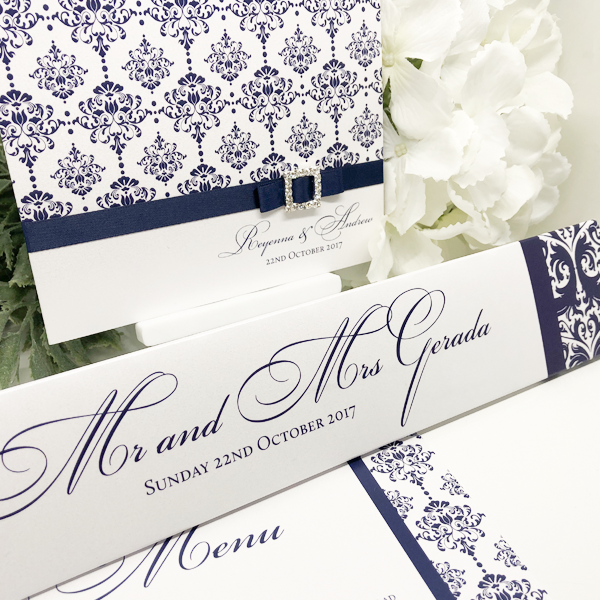 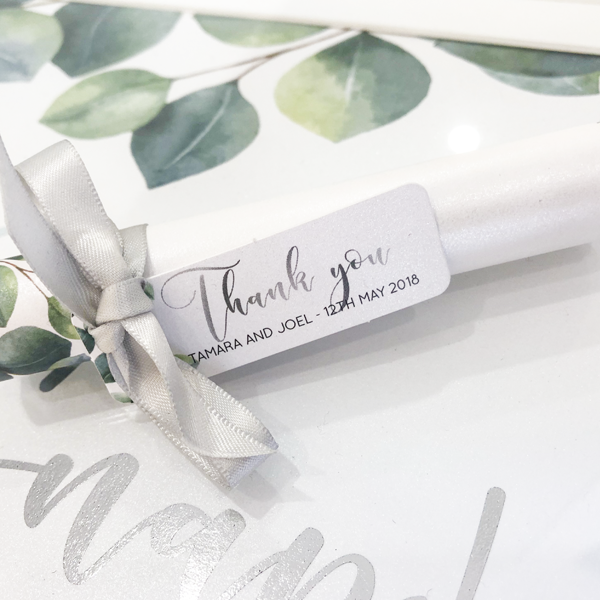 Printed stickers to match your wedding theme, as a thank you or place card. 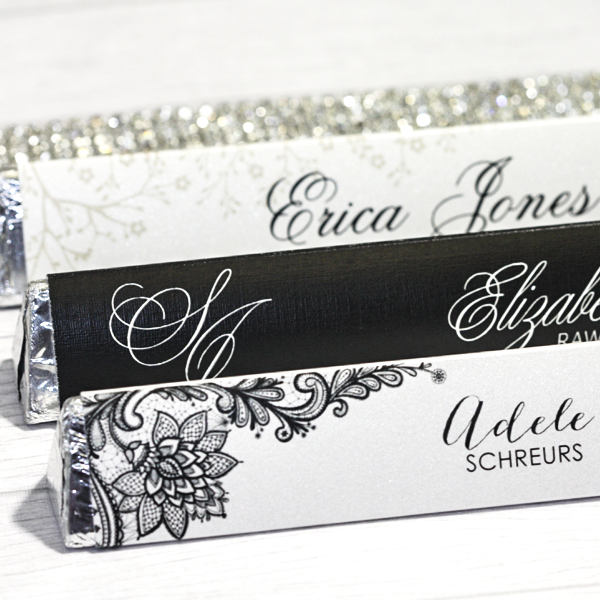 Just let us know the size you need!